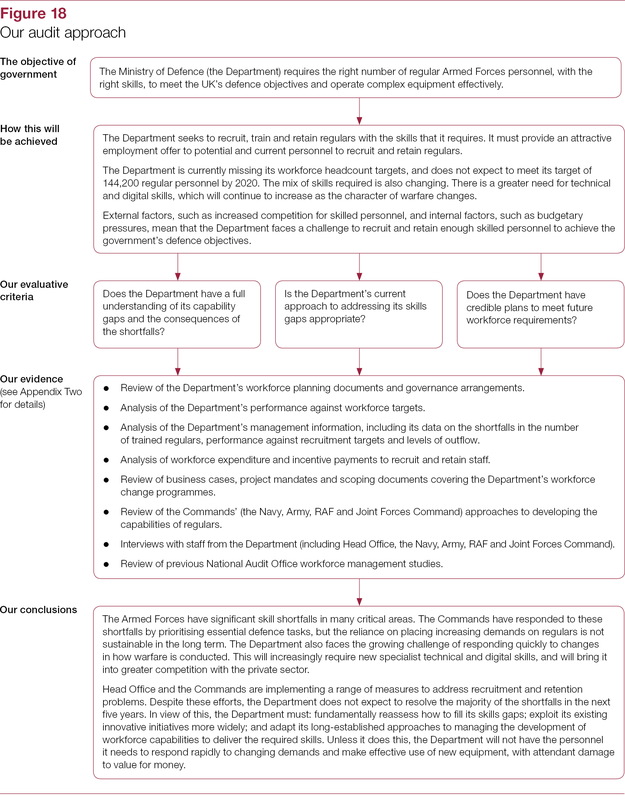 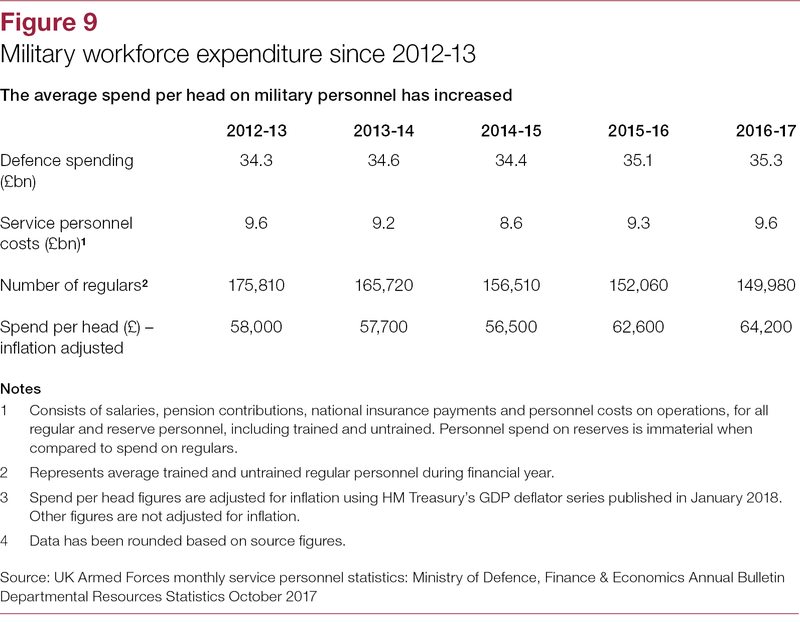 The Armed Forces need sufficient skilled personnel to meet the government’s objectives for the Ministry of Defence (the Department), which were set out most recently in the 2015 Strategic Defence and Security Review. 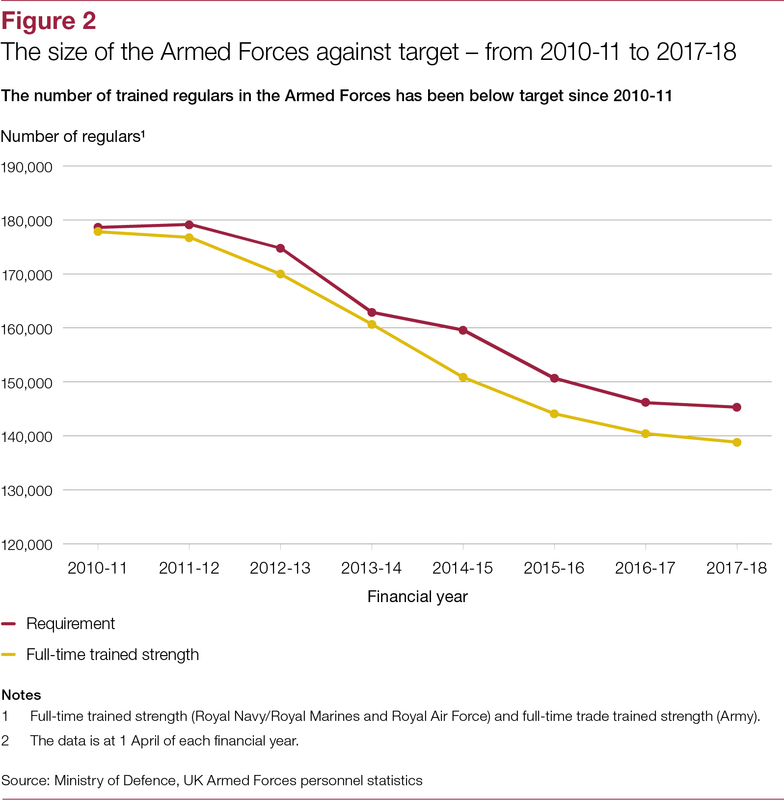 As at January 2018, the Armed Forces had 137,300 trained regulars. 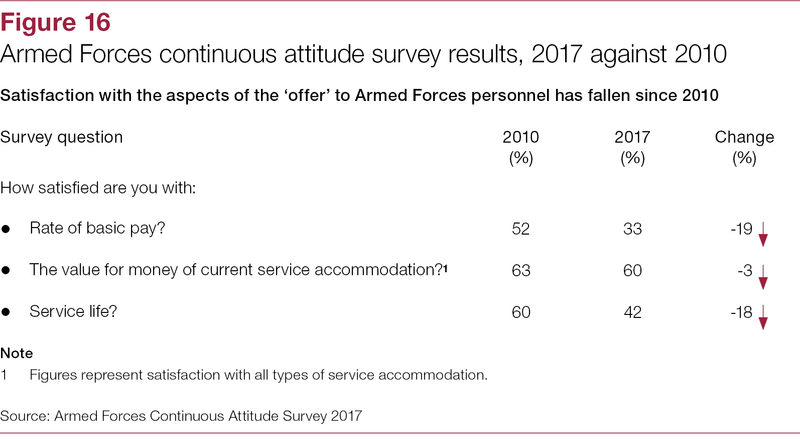 This was 8,200 (5.7%) below their current requirement – the largest gap for a decade. 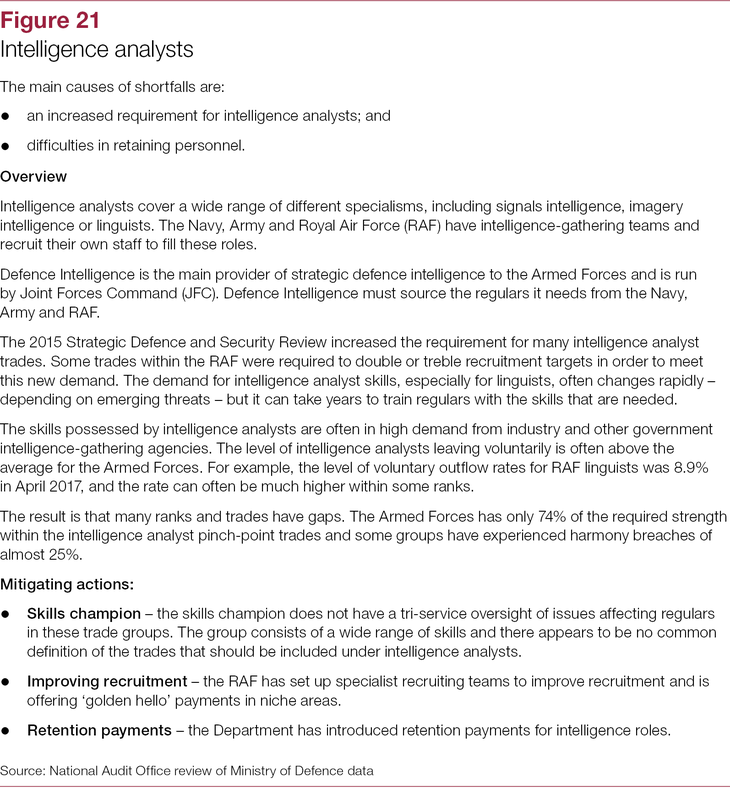 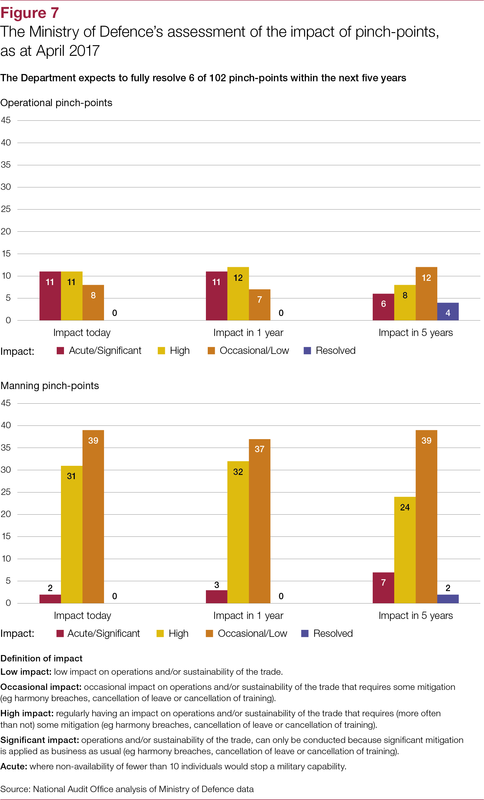 More significantly, the aggregate figures mask much larger shortfalls in the number of regulars with critical skills, such as engineers, pilots and intelligence analysts. 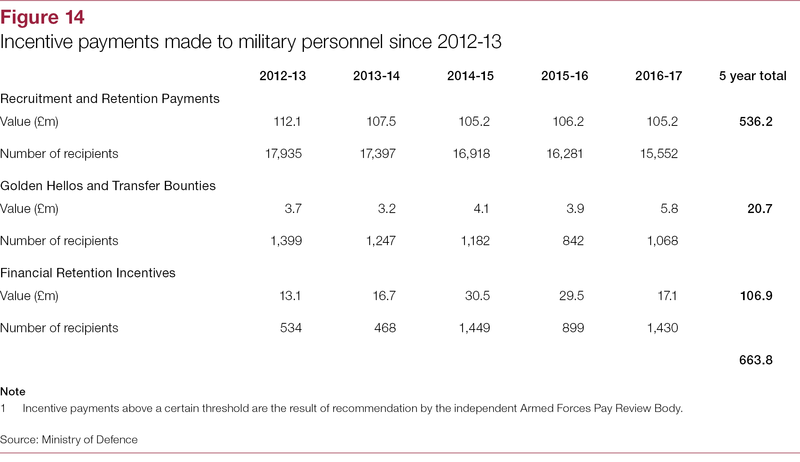 In 2016-17, the Department spent £9.6 billion of its defence budget on military personnel (27%). 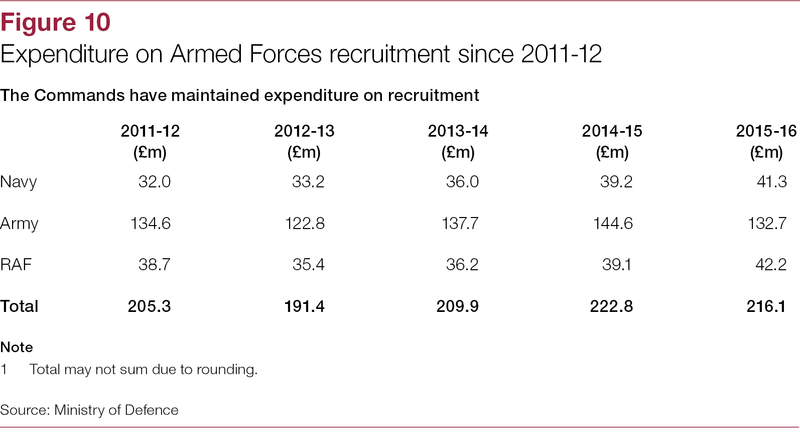 It forecasts this will rise to £10.3 billion by 2020-21. 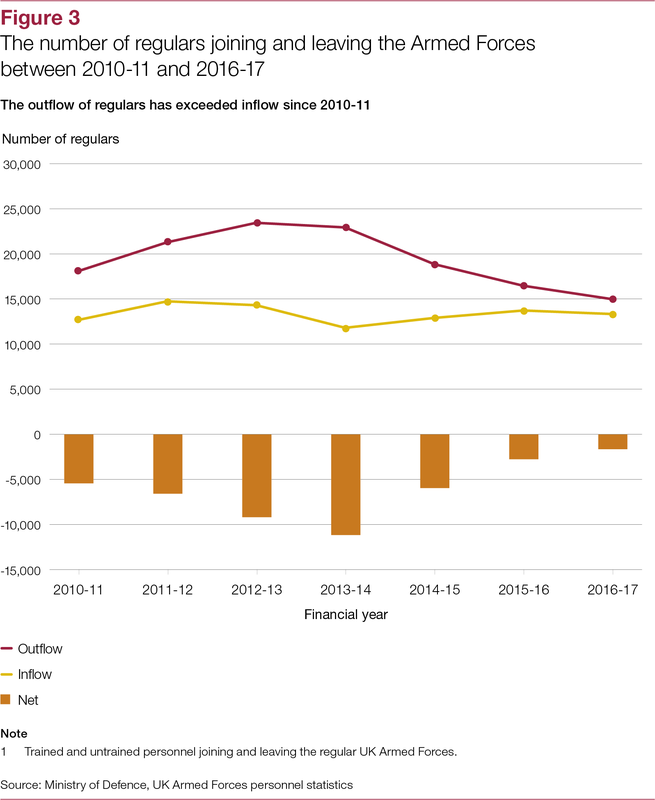 At the same time, the Department faces significant financial pressures. 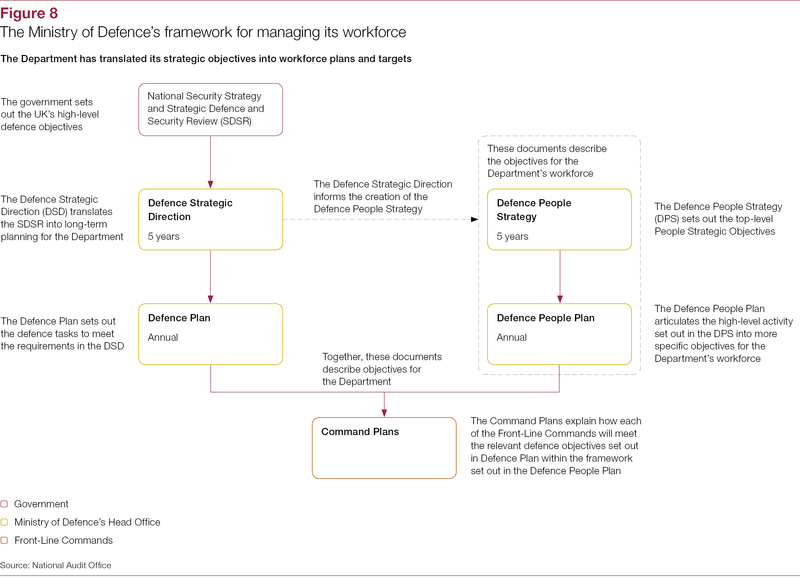 The Department has also described ‘a more dangerous world’ in which the threats to the UK are evolving rapidly. 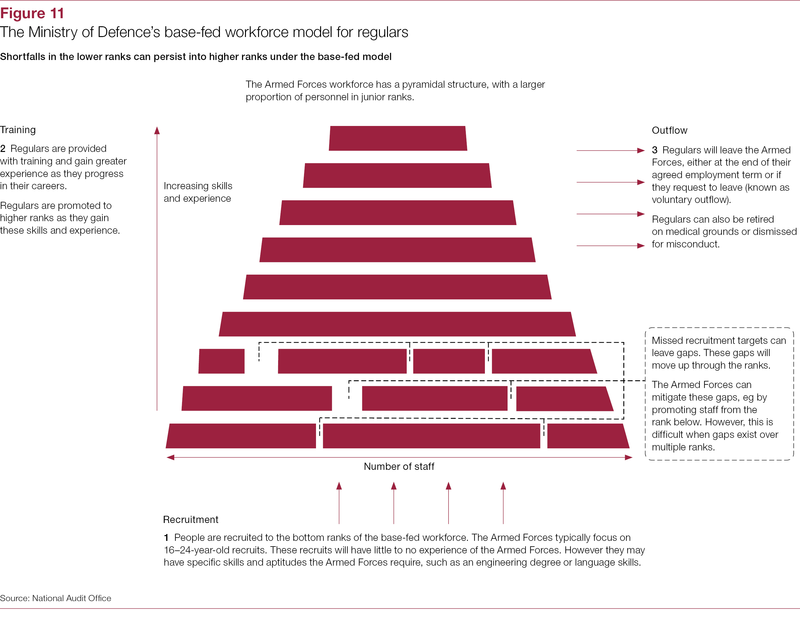 It therefore faces a significant challenge in developing the skilled personnel it needs to meet its future ambitions for the Armed Forces. 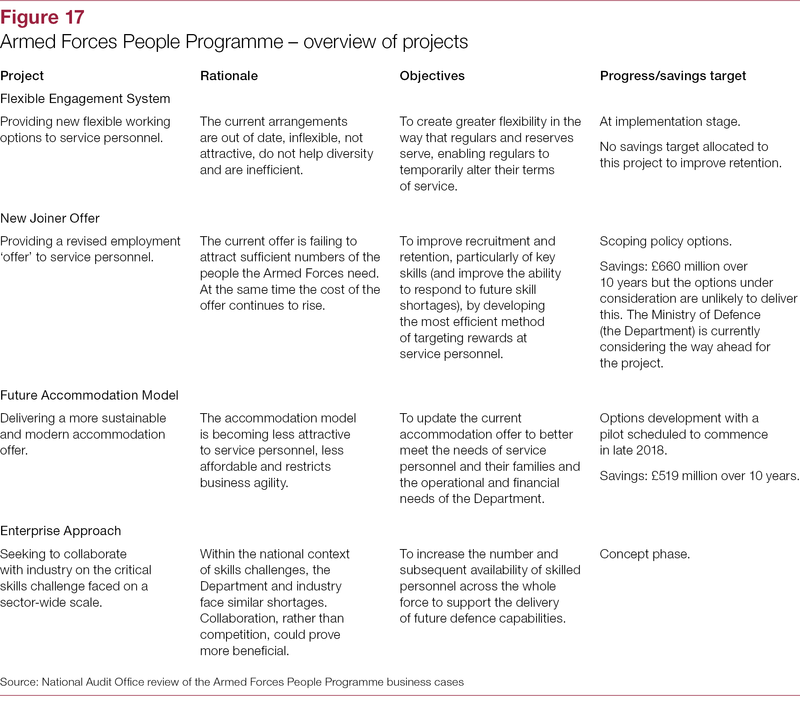 initiatives to reform the way it manages its workforce (Part Four). 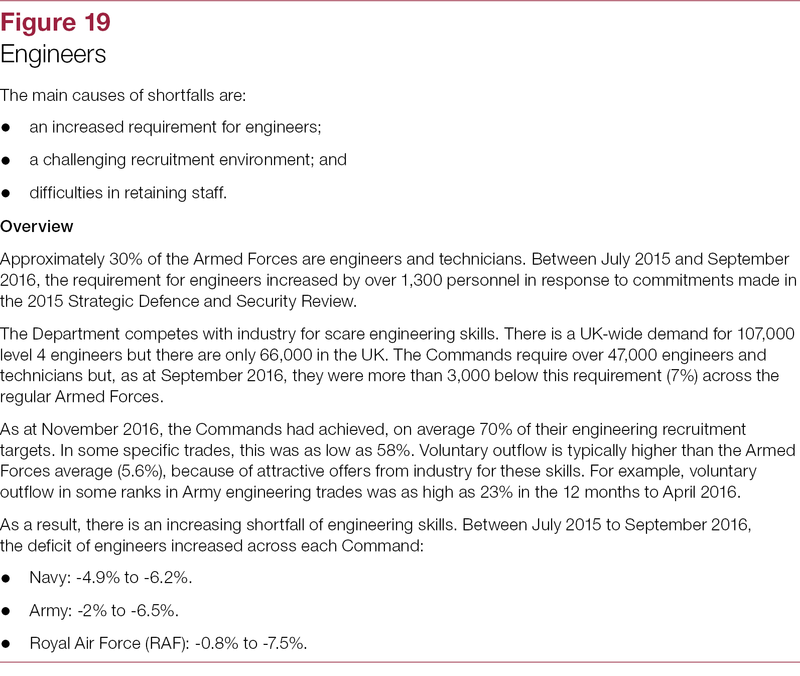 The Armed Forces have significant skill shortfalls in many critical areas. 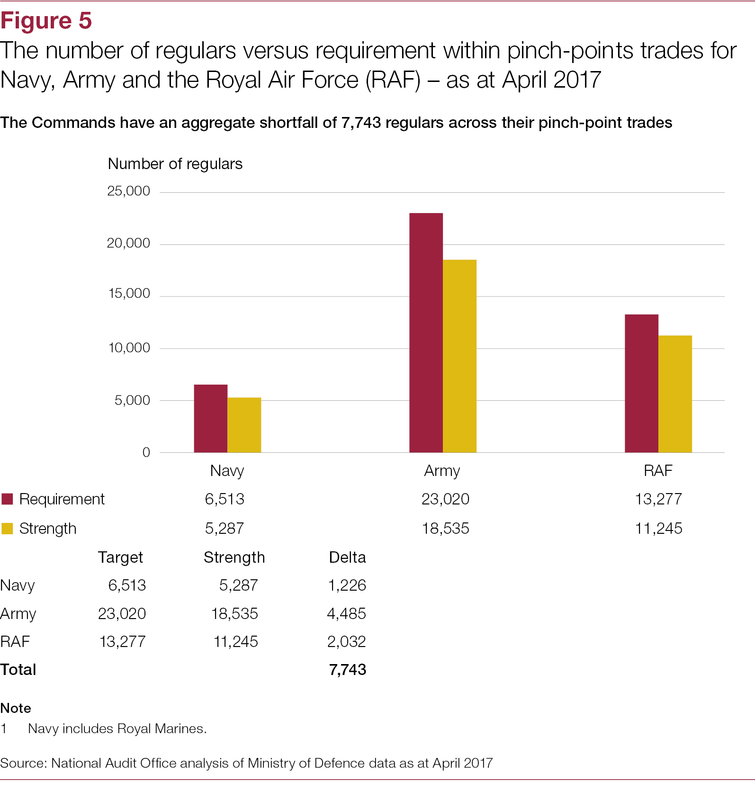 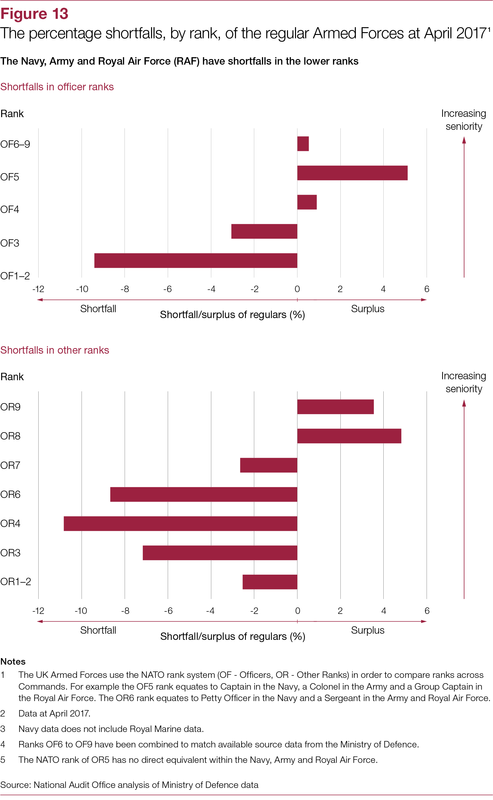 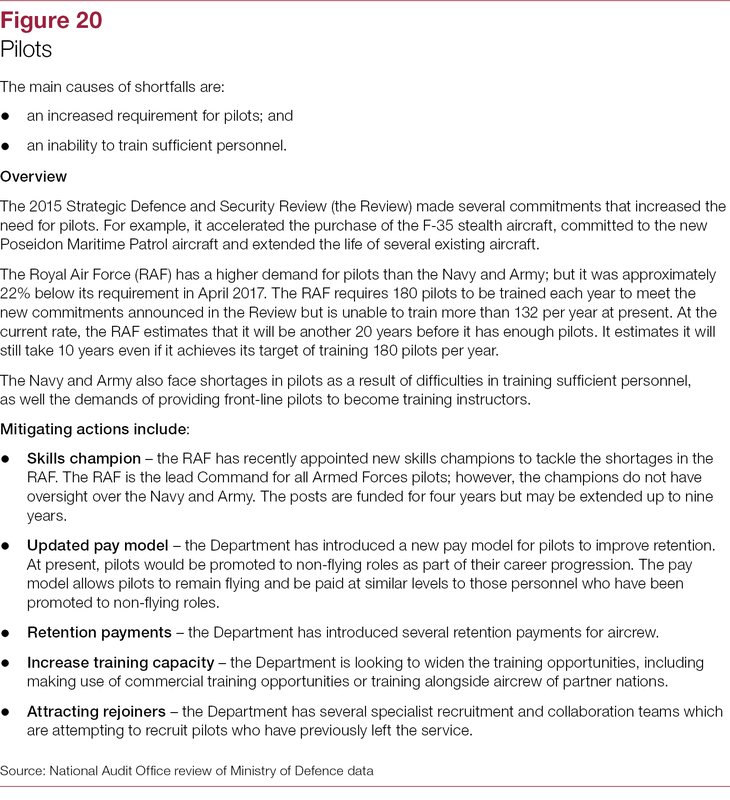 The Commands have responded to these shortfalls by prioritising essential defence tasks, but this reliance on placing increasing demands on regulars is not sustainable in the long-term. 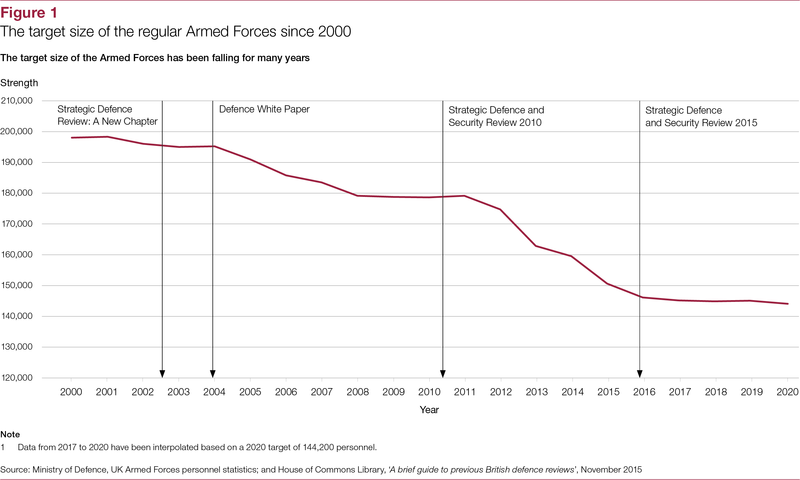 The Department also faces the growing challenge of responding quickly to changes in how warfare is conducted. 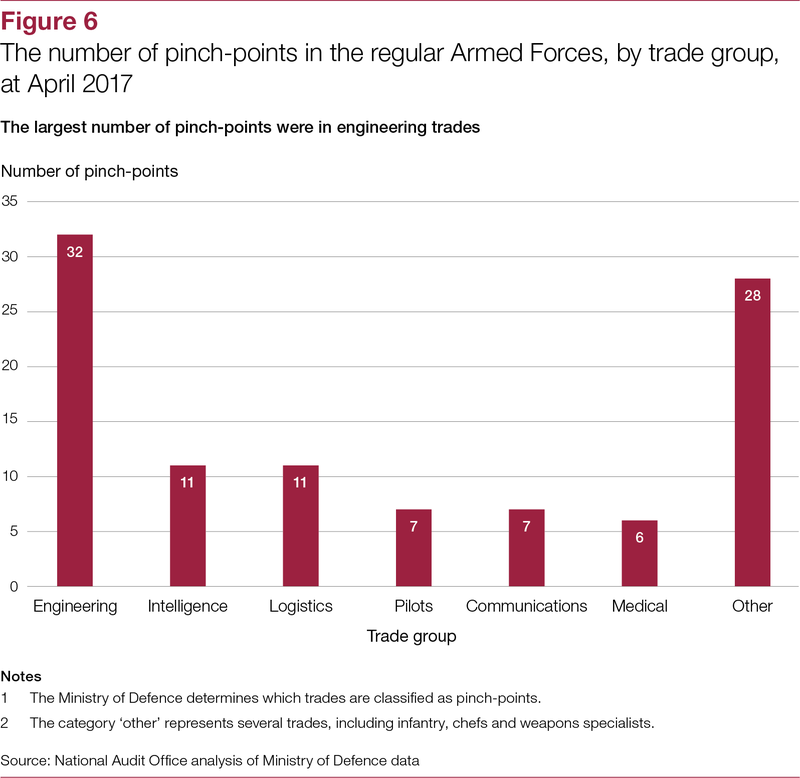 This will increasingly require new specialist technical and digital skills, and will bring it into greater competition with the private sector. 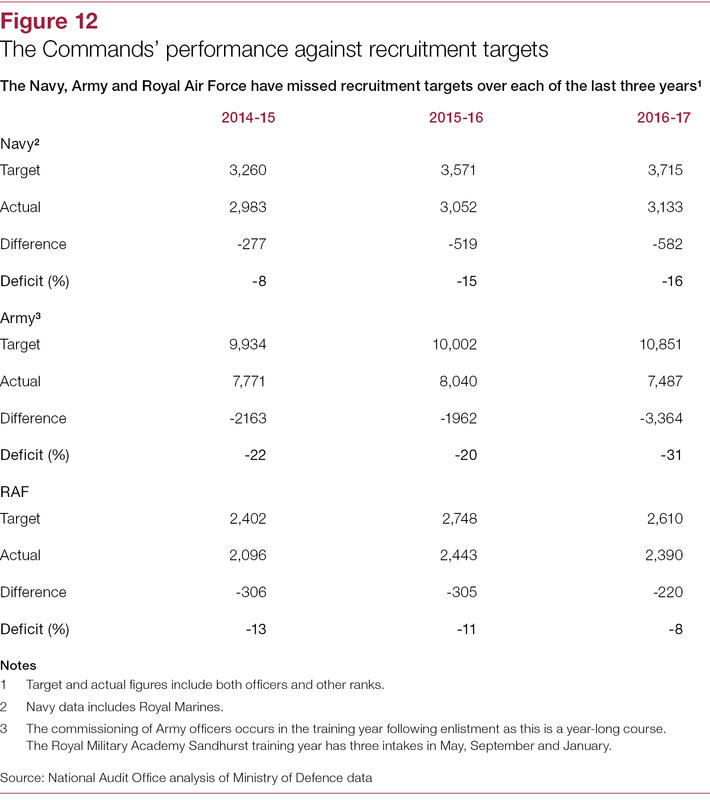 Head Office and the Commands are implementing a range of measures to address recruitment and retention problems. 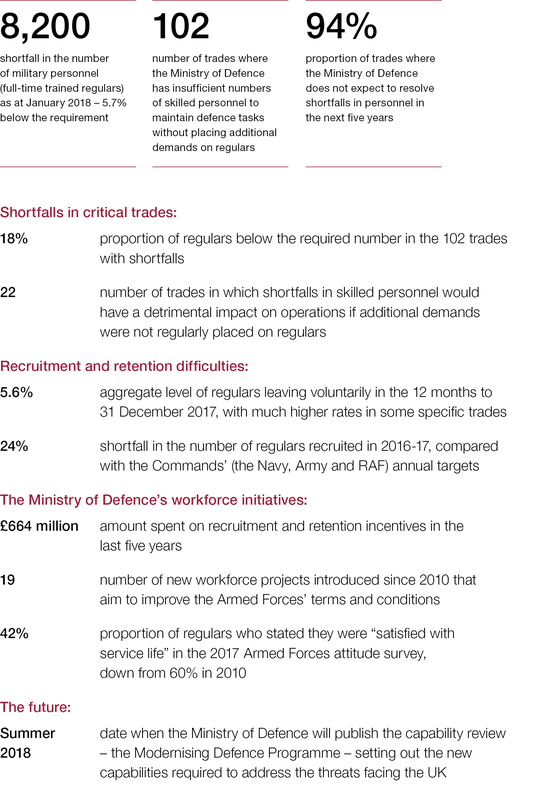 Despite these efforts, the Department does not expect to resolve the majority of the shortfalls in the next five years. 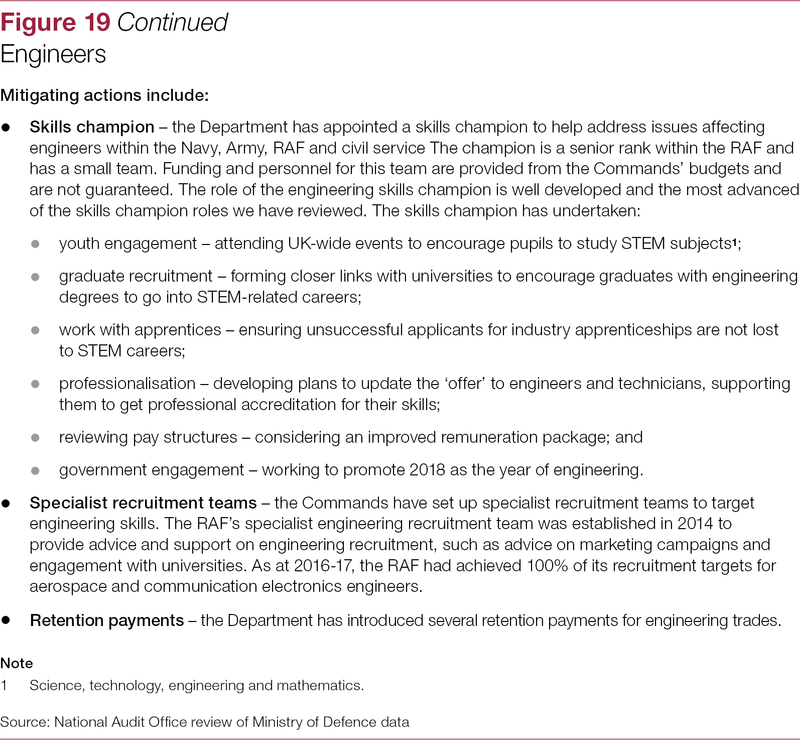 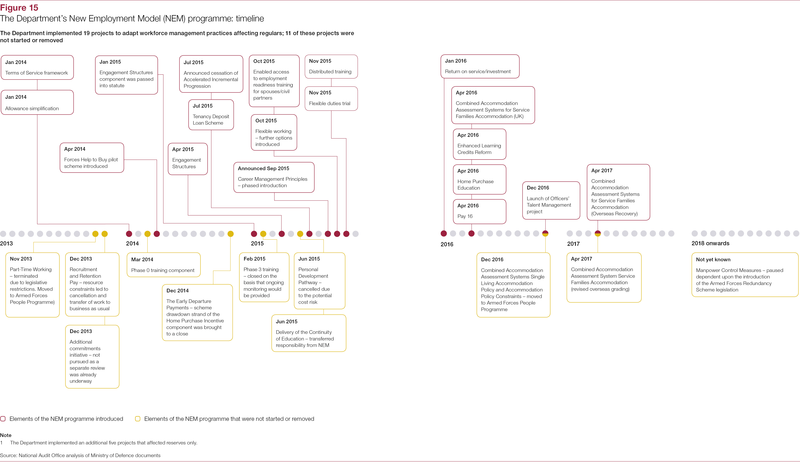 In view of this, the Department must: fundamentally re-assess how to fill its skills gaps; exploit its existing innovative initiatives more widely; and adapt its long-established approaches to managing the development of workforce capabilities to deliver the required skills. 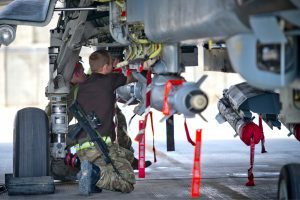 Unless it does this, the Department will not have the personnel it needs to respond rapidly to changing demands and make effective use of new equipment, with attendant damage to value for money.